Checked in around 10 pm and used the $20 sandwich and told the clerk anything that she can do to make my wife’s birthday special would be appreciated. We got upgraded from deluxe an older tower to the newly renovated tower with high roller view. Arrived late 11pm. Went to the next available clerk (Female, 30ish). Ask politely for a complementary room upgrade as I handed her my sandwich. She knew the game and proceeded to say she got me a nice room. I was amazed when I got to my room, 30th floor overlooking the strip. 2 Room suite with Jacuzzi tub, wet bar. Looked it up later and found out it was the executive suite. Great upgrade for the week stay. Well worth trying to get any upgrade. I was hesitant to try the sandwich at Harrah’s since there haven’t been any reports since last year, but I tried it anyways. Unfortunately, we weren’t able to target a certain clerk. We ended up with Mark, a quiet older gentleman, at about 1PM. We presented the sandwich and asked for any complimentary room upgrades. After a few seconds of looking at the computer, we were offered a newly remodeled Deluxe room which we gladly accepted. YES! arrived at Harrahs at around 12pm on a Monday and was asked to use the automated check in but refused stood in the Q, was taken by a girl , she took our details , asked what room we had been allocated , she advised classic Mardri Gras room , i asked if we could have one of the newly renovated Valley Tower rooms , and I slipped her $20 in passport , she said let me check and said they only had the double Queen strip view suite if that would be ok , to which i relied yes had a brilliant view of the Mirage and room was massive. My experience was baffling. 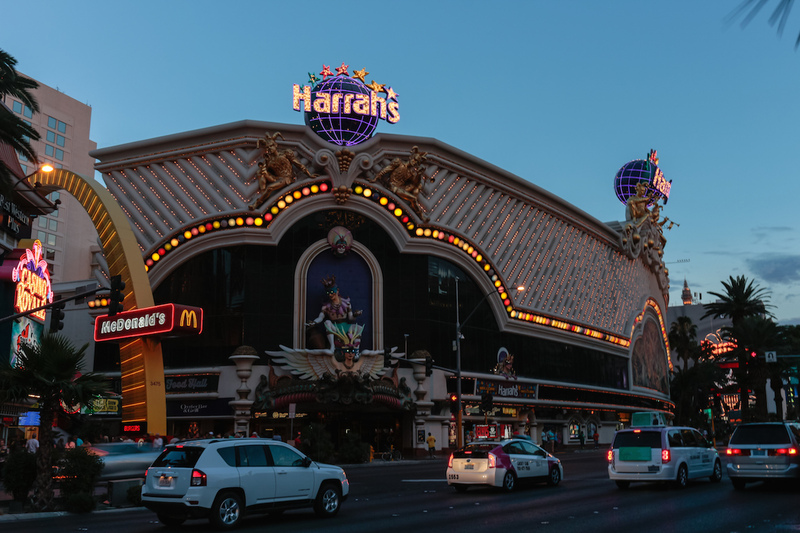 We arrived at Harrah’s 5:30 p.m. on November 17, 2015. There was a line so no choice of checkin person. We ended up with a timid middle aged front desk lady. She was very polite. I explained we were celebrating 2 things one was my 50th birthday and two I have just found my high school sweetheart and 1st love after being seperated for 30 years and we decided to come to Las Vegas for her very first time ever. WE were hoping for a complementary upgrade to a suite from a basic Carnaval room. I placed a $50 bill between license and credit card and the lady could not give it back to me quick enough and stated “lets see how well you are happy with your room first”. She typed in a bunch of stuff and I was looking for 4 nights upgrade. She then walked over to a I assume supervisor standing behind all the desk agents and she had her own computer in which the 2 ladies looked at something on the screen. ( I am assuming they were looking to see if I had any Total Rewards action previous)I HAD NONE. After 2 or 3 minutes our agent slowly walked back and started typing again a quietly said “its $75 per night upgrade to a Suite”. After a moment of silence she responded ” I can offer a King Deluxe in Mardi Gras tower for you complimentary”. This ended up being a smaller room (320 square feet) and extra ammenities were Television in bathroom, marble counters in bathroom, large Plasma television in the bedroom and a balcony that was 2 foot wide so basically you could open sliding glass doors to look out but could not literally walk out onto balcony. Note about balcony it is right about food court and all the exhaust fans so the smell of all the foods mixed were nauxious so could not comfortably open doors. It did not cost me $50 but also it is clear you need prior action on Total Rewards. She knew exactly what it was when I handed her the $20 dollar sandwich. She was very nice, looked at the computer and offered several room options. I ended up choose the suite. Checked in at about 11:30 a.m. there was about three people ahead of me, but I got lucky and got a mid 20’s young gentleman. Slipped him the sandwich with a ten instead of a 20…I know (cheap). And he instantly took the 10 and got me upgraded from a crappy classic Mardi gras room to a top floor superior strip view room in the valley tower. Definite success. Arrived just after 4 PM. There wasn’t a line, and I was waved over by the clerk. I already had my $andwich ready to go, and handed it over while asking if I could get something better then the “Expedia” class of room. She smiled and said “Let’s see what we can do” We ended up getting upgraded to a deluxe with an eighth floor view of the strip hotels and mountains in the distance, and a small balcony, as well! This was in addition to the better bedding, bath, and TV the deluxe provides. Definitely worth the $20! 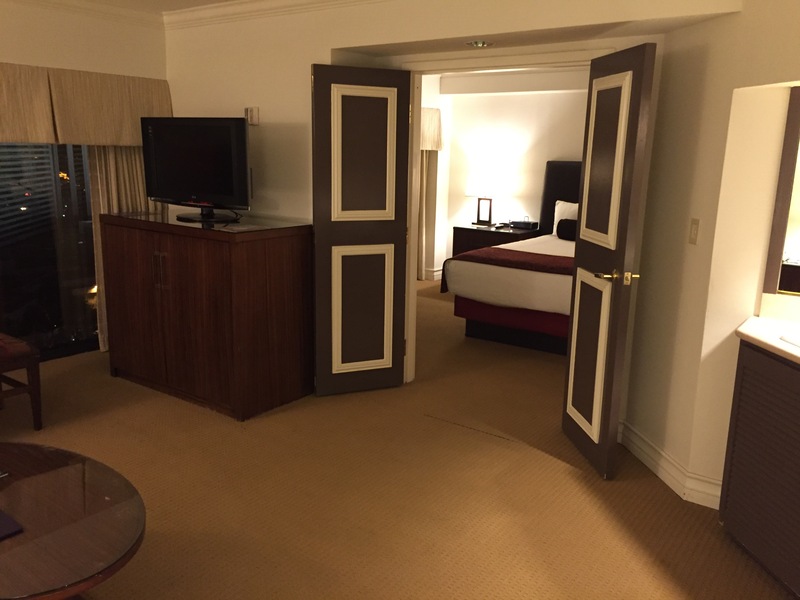 After reading other comments on the site thought i\\\’d give it a go….well whilst in Vegas you\\\’ve got to gamble!.what a result, no hesitation on asking upgraded from stanard room to refurbished deluxe room with 2 LCD t.vs and the most comfortable hotel bed I\\\’ve ever had. Would happily return.